The Los Angeles car accident attorneys at Ellis Law are acutely aware of the dangers that go along with holiday travel. The New Year’s Eve drive home – technically in the early hours on New Year’s Day after the ball drops – is the most dangerous time of year for drivers and pedestrians. We urge everyone to be aware of other drivers on the roadways and drive safely. On New Year’s Day, drunk driving is at its highest rate for the year, causing both the most fatal crashes and the highest number of fatal pedestrian accidents. The statistics were compiled by the Insurance Institute for Highway Safety, analyzing five years’ worth of federal statistics. In New Year’s Day crashes, half of the fatal crashes involve a drunk driver – usually with a blood alcohol content over 0.08. There are also, on average, 22 New Year’s Day pedestrian deaths each year. 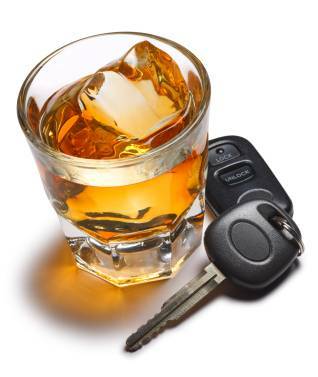 In recognition of the dangers of drunk driving, California has adopted severe penalties. For example, once a driver is arrested for DUI, the arresting officer will confiscate his or her driver’s license. The officer then forwards a copy of the revocation report to the Department of Motor Vehicles (DMV), which automatically conducts an administrative review and typically upholds a license suspension. A first offense suspension will last four months while a second (or greater) offense within 10 years will lead to a one-year suspension. The California DMV can suspend a driver’s license even if the driver is never charged with or convicted of a crime. For those who are injured by a drunk driver, there may also be recourse. All too often, drunk driving accidents are caused by repeat offenders who may be driving with a suspended license, leaving them uninsured. But the drivers are not the only parties who may be held financially responsible. Other potentially responsible parties include people or establishments who served a visibly intoxicated person alcohol or someone who owned the car being driven by the drunk driver. Each situation is different and an experienced Los Angeles DUI accident lawyer can determine who may be liable. Drunk driving crashes tend to be severe and debilitating – for example, impaired drivers traveling the wrong way into oncoming traffic cause far more serious injuries than the typical minor fender-bender. These types of collisions lead to both physical and financial hardships. The good news is that the law does provide a path for compensation. At Ellis Law, our attorneys have a winning track record when it comes to fighting for the rights of victims in Los Angeles DUI accidents. Whether it involves finding applicable insurance policies and negotiating a claim settlement or taking a case all the way to trial, we have successfully navigated the legal waters for DUI victims and their loved ones. If you or a loved one have been injured in a DUI accident in or around Los Angeles, call 1-800-INJUED for a no-cost initial consultation and evaluation of your case. We do not get paid unless we collect an award or settlement for you.